After a hospital stay, it's imperative to give yourself or your loved one time to heal while others worry about some of the day to day demands of living. For your respite needs, we hope you'll consider Pine Ridge Alzheimer's Special Care Center in Spokane Valley, WA. Just a short distance from Valley Hospital and Medical Center and with a nursing staff and visiting specialists, Pine Ridge Alzheimer's Special Care Center is the perfect solution for your short-term assisted living needs. Activities like bathing, dressing and cooking meals are all taken care of for you while at Pine Ridge Alzheimer's Special Care Center. In addition, daily chores such as laundry service, housecleaning and yard maintenance are provided. Your only job while staying at Pine Ridge Alzheimer's Special Care Center is recovering and healing. 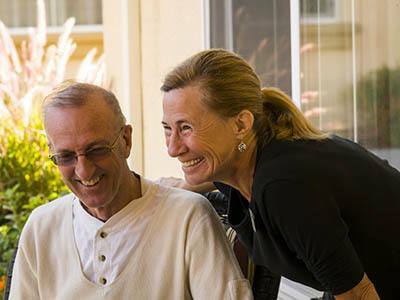 We partner with the seniors in need of respite, their physicians and our nursing and physical therapists to ensure our residents' physical, emotional and spiritual needs are met during their time with us. Respite care residents can choose from furnished or unfurnished one and two bedroom floor plans. Let Pine Ridge Alzheimer's Special Care Center make your recovery and rehabilitation easier and more restful than you ever thought possible. Call Pine Ridge Alzheimer's Special Care Center today and schedule a guided tour and free lunch for you and your family member!